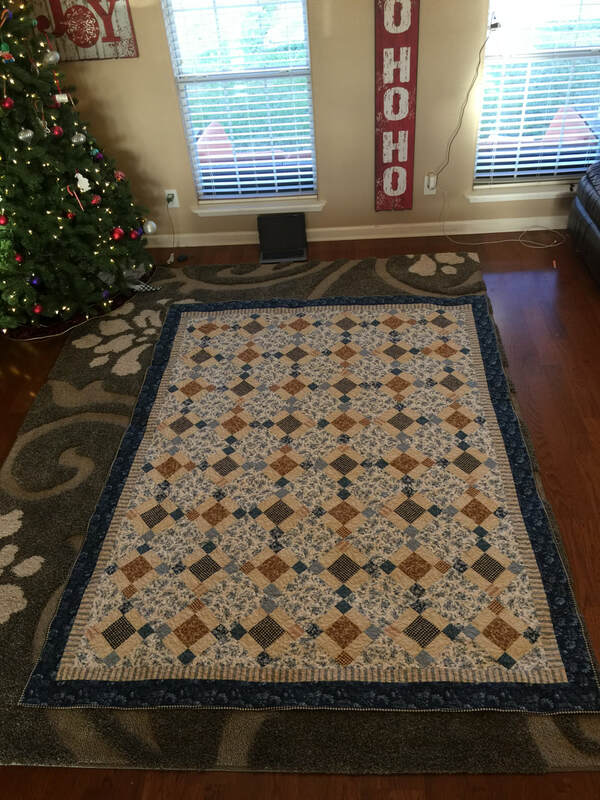 This was a pattern from Methodist Hill Quilt Studio that was very easy to piece while still being an eye catching pattern. I used a meandering pattern that I learned from the book Free-Motion Meandering: A Beginners Guide to Machine Quilting. 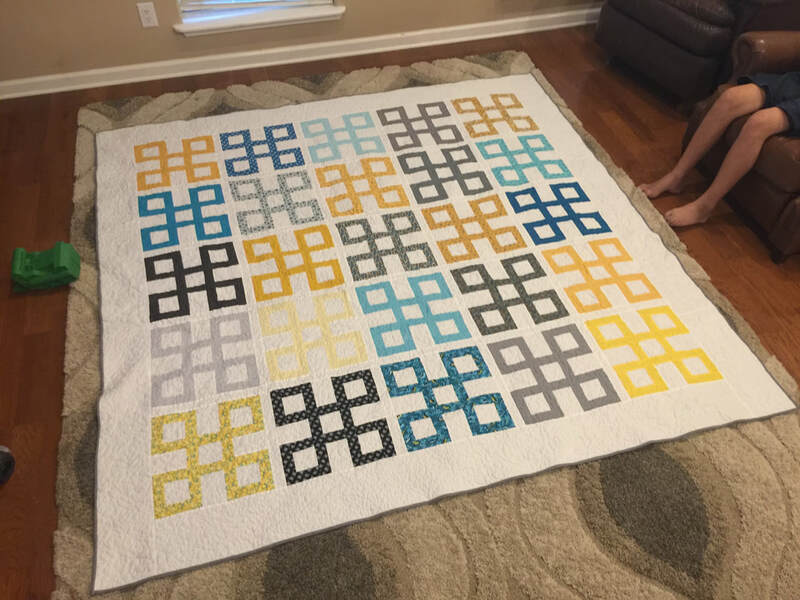 ​This was the third quilt I FMQ'd on my domestic machine, and it's definitely my best yet. An Arkansas Razorback quilt for a family member. This was a quilt for my husband's aunt. She's a huge Razorbacks fan! I found a pattern I really liked on Connecting Threads, then I went on Etsy and found Razorback material in six different patterns. It was my first attempt at those tiny "nine patch" squares you see on the edges. I'm just very thankful that, when quilting, a lot of your mistakes are very likely to "quilt out". Meaning they become almost invisible once you get all of the quilting done. When I first decided I'd like to learn to quilt, I went straight to my best friend Jenny over at Come Quilt. Her mother was a fabulous quilter (Sue Garman) and Jenny's love of quilting and attention to detail was exactly what I wanted in a teacher. She gave up many a Saturday to show me the ropes, and she has my endless appreciation. To get me started, she asked me to head over to Connecting Threads so I could pick out a beginner kit. I have been a lover of kits ever since. The first quilt I quilted on my Bernina 930. It was a gift for my oldest niece. I knew I wanted to do my quilting on my domestic machine, but I was apprehensive about trying it out. I offered to make one for my niece, and she picked out this pattern. I asked her to go easy on me since it would be the first quilt I'd done "start to finish" on my machine. It really turned out well, though I have no desire to show you what the back looks like. That's where you can see all the mistakes. Beautifully quilted by Jenny Arkinson over at Come Quilt/Sewcial Butterfly. This is the second quilt top I've ever made. Once I made one for myself, I knew I wanted to make one for my mom. I found a kit over at Connecting Threads and this is the end result. Saving it for 4 months so I could give it to her for her birthday was really hard! I'm not a patient person. Three days before Christmas I finally sat down and got this quilt bound, just in time to drape it over a new baseball net on Christmas morning. I'm definitely not wrapping it. 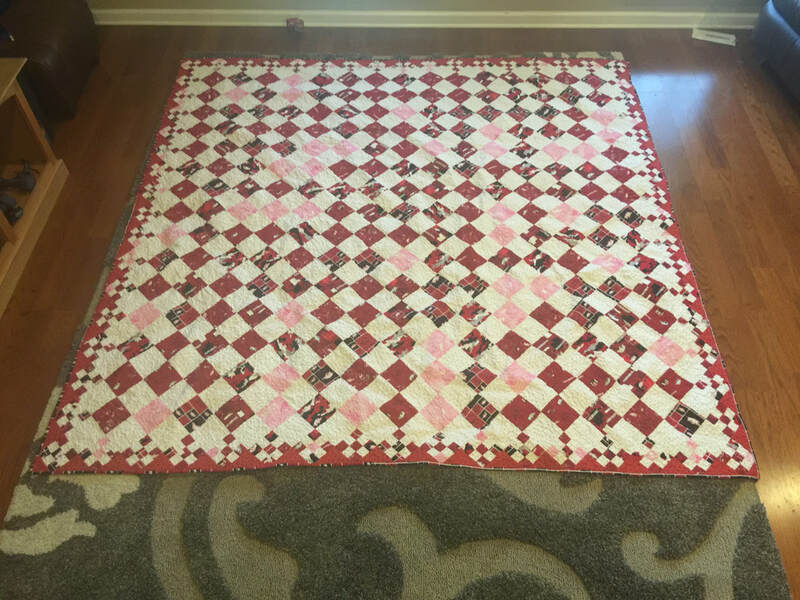 The pattern is from Methodist Hill, the quilting was done by Jenny Arkinson at Come Quilt, and it really all turned out beautifully. This was a very easy pattern to make, even for a new quilter like myself. My husband's cousin was getting married in April, so I wanted to make her a quilt. We originally settled on a pretty pink and purple pattern, but when she talked to her fiance, they thought maybe that was a little....feminine for their new place. So, we decided on a combo for their two alma maters. I think it turned out amazing! This is my first T-shirt quilt, but it turned out rather well. I did not use a stabilizer, and I'm not convinced I ever will, but for sure I can see why people do. T-shirt material moves, a lot! 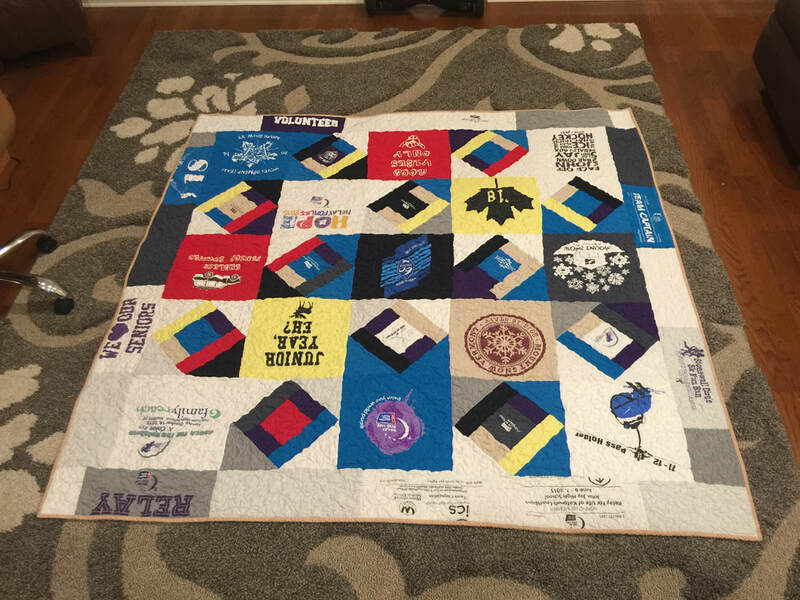 This quilt is made entirely of T-shirts provided by a friend's daughter. I was able to use the same pattern as the green/black/white quilt above, using the pattern from Methodist Hill. It was approximately 15 shirts, the perfect amount. 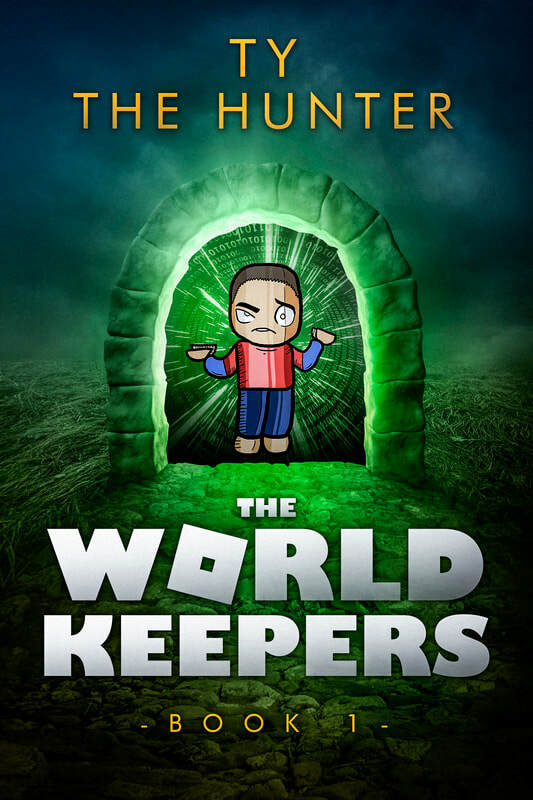 Had I tried to bind with T-shirt material as well, another 3-4 shirts would have been ideal. The binding and backing were made from the same flannel material. I was able to find a couple of styles in 108" (my go to) over at Fat Quarter Shop. As always, all of my binding was done using the techniques I learned in Angela Walters book Free-Motion Meandering: A Beginners Guide to Machine Quilting. Once again, this spot is empty! 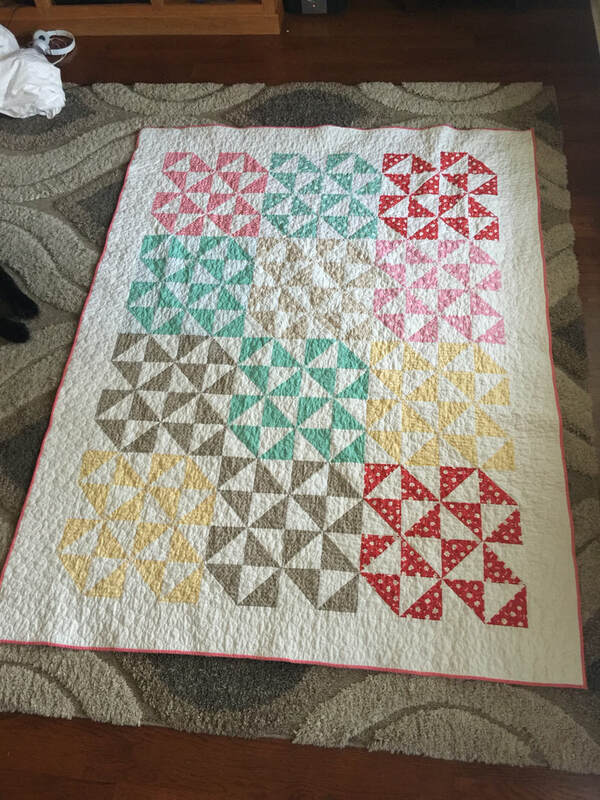 I started quilting on a whim in June of 2018. 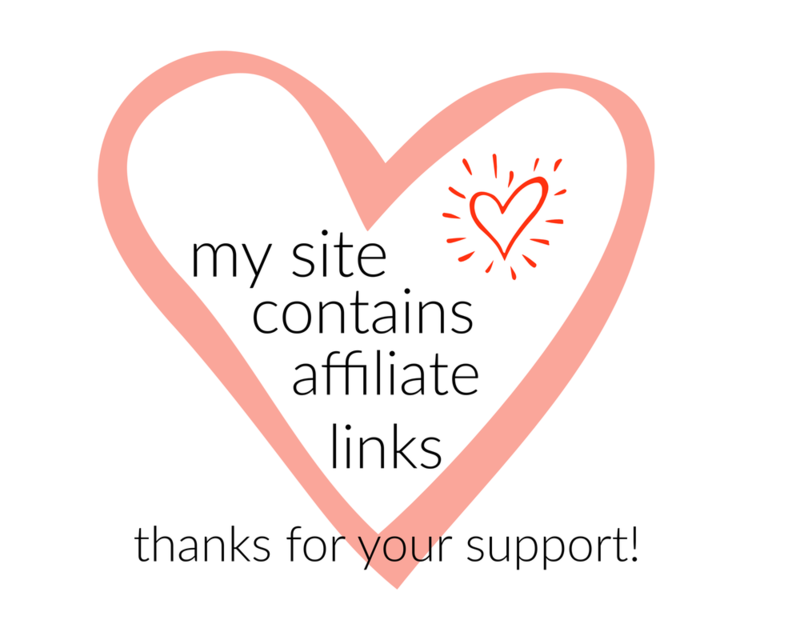 WHAT DOES A NEW QUILTER NEED TO START? ​DISNEY DINING PLAN WORTH THE COST? GIRL, YOU NEED SOME 108"